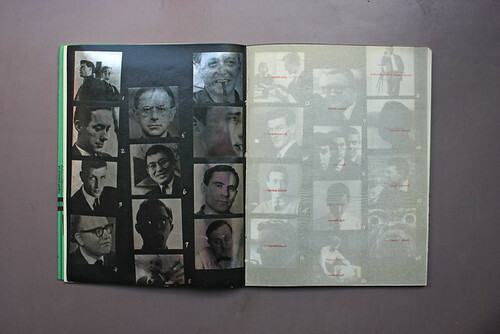 What unites 1960s Modernist graphic designers, the editors of Wallpaper* magazine and Hoxton bloggers? 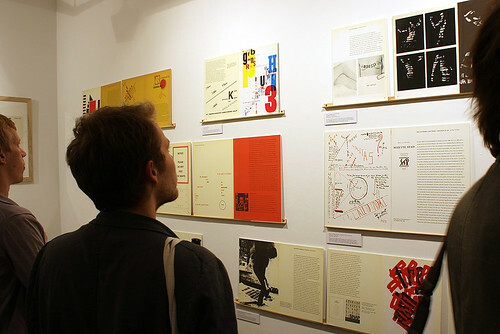 Last night it was the opening of the exhibition at Kemistry about Herbert Spencer’s pioneering magazine Typographica. Curated by Rick Poynor, the show features reproduced spreads and, safely in a display case at the back, precious copies of the magazine that published only 32 issues in two series between 1949 and 1967. Spencer edited, designed and wrote large parts of the magazine, which combined a commentary on Modern graphic design, photography and avant-garde art with an appreciation of history, printer’s letterpress stock blocks – and manhole covers. Supported by its publisher / printer Lund Humphries, which owned one of the finest printing houses of the day, Spencer was able to use mixed papers, gatefolds, small inserts and, as in issue 7 (below), silvered pages protected by glassine sheets. 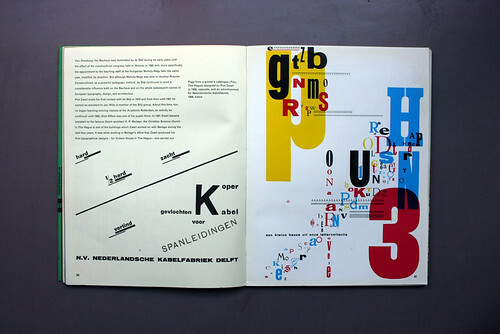 Typographica’s pages and content look as modern and exciting today as they did when they were first published: a time when it took more than two clicks to see the latest work from Switzerland or learn about the life and work of Piet Zwart. 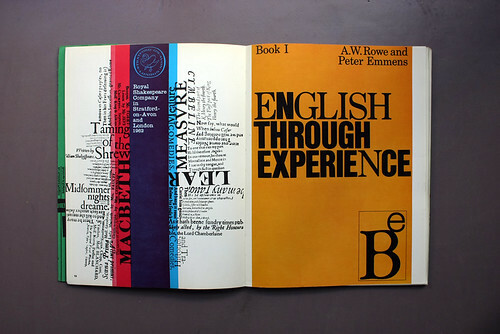 For many graphic designers, Typographica was a vital part of their design education. 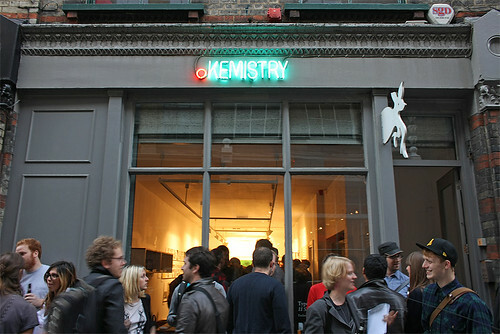 The exhibition is open until 31 October. 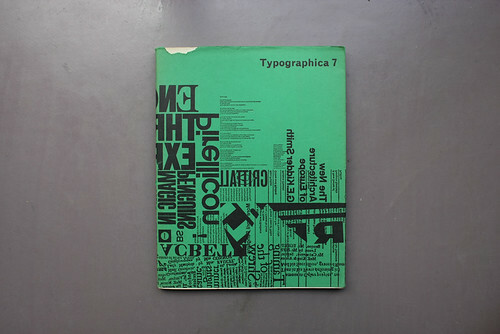 Above: the cover of Typographica no. 7 (New Series), May 1963, with spreads from a feature about ‘Typography in Britain’ showing work by George Daulby and photographs of designers including Alan Bartram and Ken Garland (both at the Kemistry opening last night). Rick wrote about the magazine’s history in Eye 31, Spring 1999, later expanding his research into the book Typographica published by Laurence King and designed by Eye’s founding art director Stephen Coates. The book is currently out of print, but a reprint is under consideration. (If you’d buy a copy, please post a comment and perhaps somebody will change their mind.) Meanwhile, a few copies of Eye 31, including the original article, are still available. You can buy back issues direct from Eye’s new online shop. 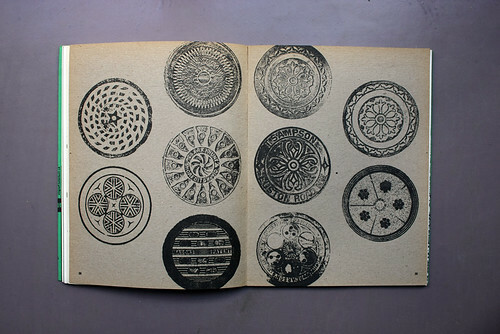 Above: spreads from a feature about Piet Zwart and from ‘Design Underfoot’ about manhole covers.